Dana’s best friend Ki tty has died in a car accident, and the only ray of light in the misery is when her grandmother appears in her spiffy red sports car to cheer her up. At the same time a nightmarish shadow appears to hunt Dana and she has to flee from her ordinary life with grandma, who turns out to be something quite different than what Dana had thought – a Huntress of Shadows. Thank you so much 🙂 I just added the first chapter of Nephilim Quest / Shadowhunter to the blog. (Chapter 1: In the Shadow of War) I’m sure there are many who wish their stories to be reviewed. Hopefully they see your comment here and I shall certainly keep you in mind if (when) I bump into other writers searching for reviews. recently i have received your mail. I have started to reading “Shadow hunter” your lovely story. i am very happy, because i love reading stories. After reading first chapter of your story, i will send my comments to you Leena. Your book sounds very interesting. Looking forward to reading it and giving a review. Thanks for the offer! Thank you so much 🙂 I really appreciate you taking the time to read my story. I’m just starting to read this stories but suddenly stop, thinking only 25 chapter available, its gonna leave me hanging..;( please tell me how can i read the whole book?? But as I have the list where you can sign up to receive my new books for free before they are published (in return for a review when they come “live”): if you sign up for the list, I’ll send you the book download link for free. You find the link on the upper right hand side of all the pages on my site. 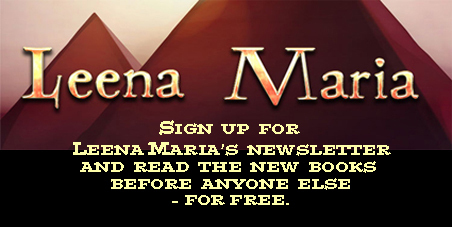 (“Click to sign up and get Leena Maria’s new books…”). I will then send you the link where you can download the book for free. My only request is that you will write a review for it on an ebook store (usually Amazon, but you can choose). 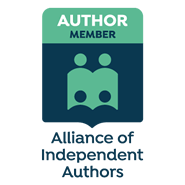 The offer is actually for my unpublished books, not the ones that are already “out there” but hey – I’m a new author, this if my first novel, and reviews help me to get my book noticed, so I don’t mind sending you a copy. You just have to mention in your review that you received a free copy for review purposes. Hello Leena – Trying to find the book How to Find the Path to Happiness (is it in book form?). I want my 14 yr old to give it to her friend that is very depressed right now. I think it might help him while he is getting professional help for his depression. Thank-you Leena – I will introduce your website to my daughters friend – I think he will get some inspiration from it. The eventual downloadable book sounds great – I appreciate your timely response and thanks for all you do!! Goodness, thank you. And remember the “empowering” may not necessary mean writing down cute happy things. When a person is depressed, they cannot see happy things. It may be the thing that empowers is anger – some expression of it by the depressed person themselves or by liking someone else’s expression of anger. A depressed person feels powerless, and they need a strong emotional thing to shake off that cloak of darkness. Often anger is the thing as there is a lot of bottled frustration there. From then on they may then progress to more positive emotions. (But I an not a professional councellor, so don’t take that as professional advice. It is just something I have observed in people who have been depressed. I’m very intrigued by your subject matter. There is another writer, James Rubatt, who has a set of books out that while subject matter is extremely close, the approaches taken seem to be quite different. Thought you might enjoy how another writer dealt with similar ideas.